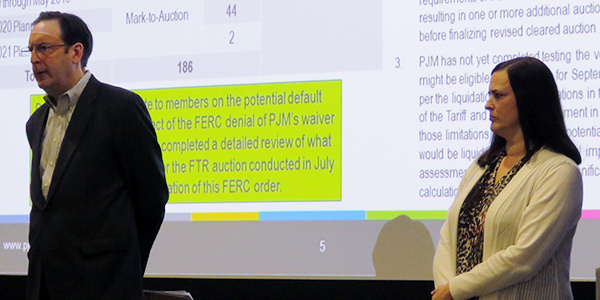 VALLEY FORGE, Pa. — PJM won’t act on FERC’s order to rerun its July 2018 financial transmission rights auction unless the commission denies the RTO’s planned motion for a stay, officials told members Wednesday. FERC’s Jan. 30 order rejected PJM’s request to waive rules requiring it to quickly liquidate GreenHat Energy’s FTR positions following the company’s default. The RTO liquidated only GreenHat’s FTRs settling in August, saying that selling all the positions immediately would increase members’ losses (ER18-2068). Deputy General Counsel Chris O’Hara said PJM will ask FERC to stay its order until it rules on the RTO’s request for rehearing or clarification, which will be filed before March 1. RTO officials are so alarmed by the impact of the ruling that Craig Glazer, PJM’s D.C.-based vice president of federal government policy, may have violated FERC’s ex parte rules. Commissioners Cheryl LaFleur and Richard Glick and their aides, along with Rachel Marsh, legal adviser to Chairman Neil Chatterjee, said Glazer attempted to speak to them about the issue in separate phone calls on Jan. 30, according to filings the three offices put in the docket. Marsh and LaFleur aide Jessica Cockrell said Glazer called them for what he initially said was a “procedural update” on the case. “Mr. Glazer explained that PJM intends to file an emergency motion for stay, and also that the order may have significant financial implications for PJM members and require inclusion of relevant amounts on members earnings reports,” Cockrell said. PJM spokeswoman Susan Buehler denied that Glazer was attempting to lobby the commissioners. O’Hara said the RTO was disappointed that it took FERC six months to rule on the waiver request. “They could have ruled within 30 days. Waiting six months obviously makes [unwinding FTR settlements] more complicated,” he said. FERC ordered PJM to rerun the auction conducted in July under Tariff rules requiring it to offer all of GreenHat’s FTR positions at a price designed “to maximize the likelihood of liquidation.” That means including liquidation offers for all GreenHat’s FTR positions for August 2018 through May 2019, instead of just the prompt month. The order also requires PJM to recalculate the default allocation assessments made based on GreenHat FTRs that went to settlement between September and January 2019 if those FTRs get liquidated as a result of the rerun of the July auction. 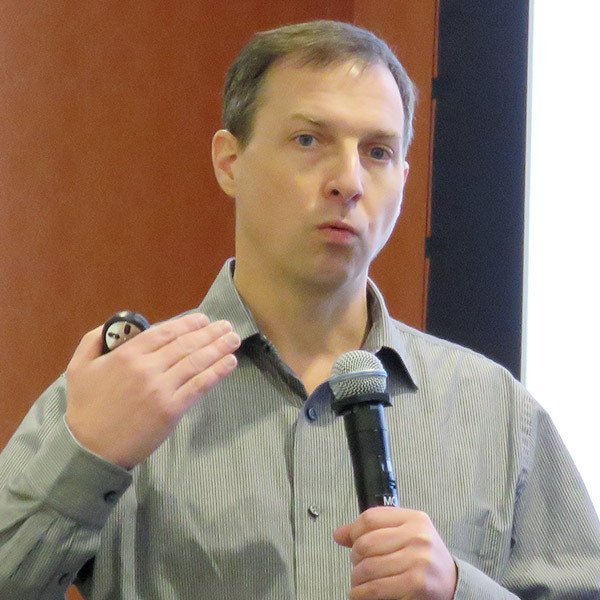 PJM’s Tim Horger said the RTO, which has never rerun a cleared FTR auction, is still evaluating potential implications of the ruling. “You’re going to have … auctions [after July] where members sold positions they never owned,” he said. Because the FTR portfolios of participants who traded in the July auction will be revised, the reshuffling is expected to trigger credit collateral calls. The revised results also will cause FTR auctions from August 2018 through January 2019 “to become infeasible solutions,” violating the simultaneous feasibility test, PJM said. The RTO will have to make billing adjustments reflecting revised default allocation assessment charges since Aug. 1 — revisions that may cause additional members to default. Daugherty said the RTO believes the order only requires it to rerun the July 2018 auction for August because the auctions from September forward were under revised rules approved by the commission. FERC last week approved PJM’s request to withdraw an earlier petition to allow bilateral counterparties the option to assume indemnified positions (ER19-24). The RTO made the request after FERC issued a deficiency notice seeking more information on its indemnification procedures. FERC declined to rehear its order approving PJM's revisions designed to mitigate buyer-side market power. PJM’s most recent competitive window for transmission projects attracted 63 proposals from 12 entities, the majority of them transmission owner upgrades. 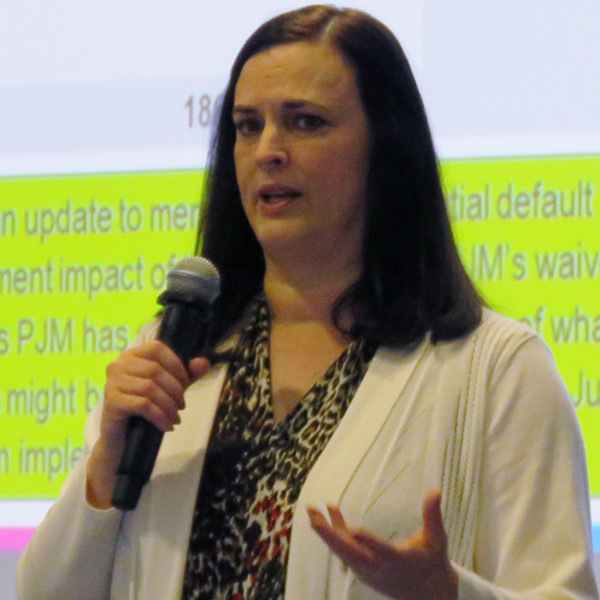 PJM will require all steam generators to adjust their capacity ratings based on summer peak load conditions under manual changes outlined to the Planning and Market Implementation committees last week.